For the last 80+ years, Krispy Kreme Doughnuts has made “the most awesome doughnuts on the planet every single day.” So, it’s no surprise that customers want to excitedly share photos of their tasty treats across social media. For Krispy Kreme, this virality offers an opportunity to show the world the genuine love customers have for its delicious doughnuts. You’d think that a highly shareable product and an enthusiastic fan base would be a recipe for automatic success, but there was one challenge to overcome: how do you create a source that makes the most of that fan engagement? As businesses and marketers understand, it’s simply not enough to generate impressions and engagement. The work put into creating meaningful interactions with customers and prospects should be thought of as an ongoing investment—not a one-off campaign. Best practice means you’re reusing those efforts to generate even more touchpoints with audiences. 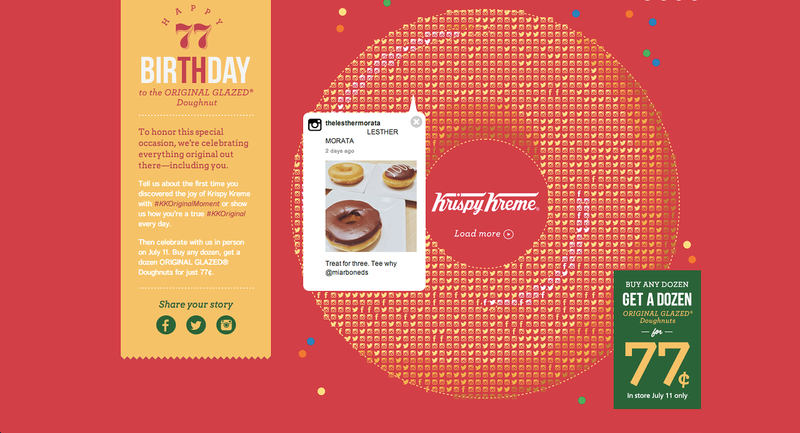 Krispy Kreme’s marketing team and social media director, Kelley O’Brien, found an answer to this challenge through TINT, a user generated content (UGC) platform. 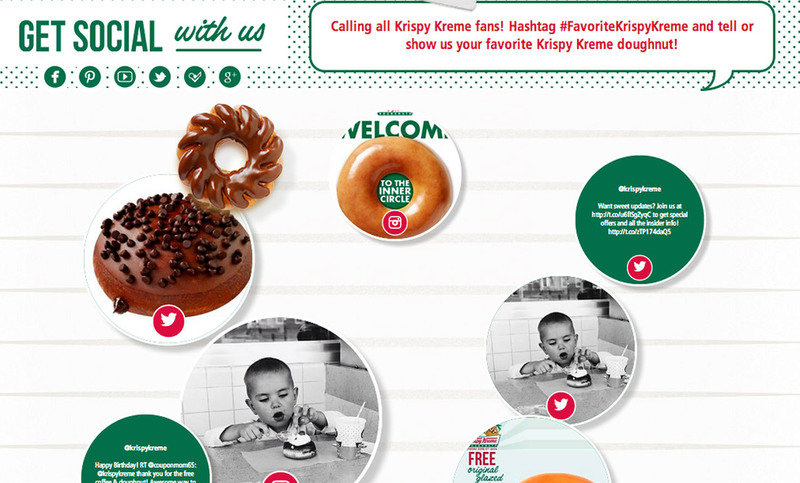 For O’Brien and Krispy Kreme, UGC as a marketing practice meant they could give their brand some heart. O’Brien described the lack of UGC for any company as a one-sided perspective that narrows the experience for customers. With TINT’s ability to maximize UGC, O’Brien knew Krispy Kreme could capture the heart of people’s experiences with the brand and bridge the gap between the digital and real world. Krispy Kreme was able to take on this engagement challenge with TINT in some creative ways that increased key metrics while simultaneously representing the warmth of its brand. One use is likely familiar to most marketers: promoting an exciting new idea quickly with limited time and resources. #hathathooray: A celebration of the company’s 75th anniversary, centered around workers’ iconic hats, generated great engagement. 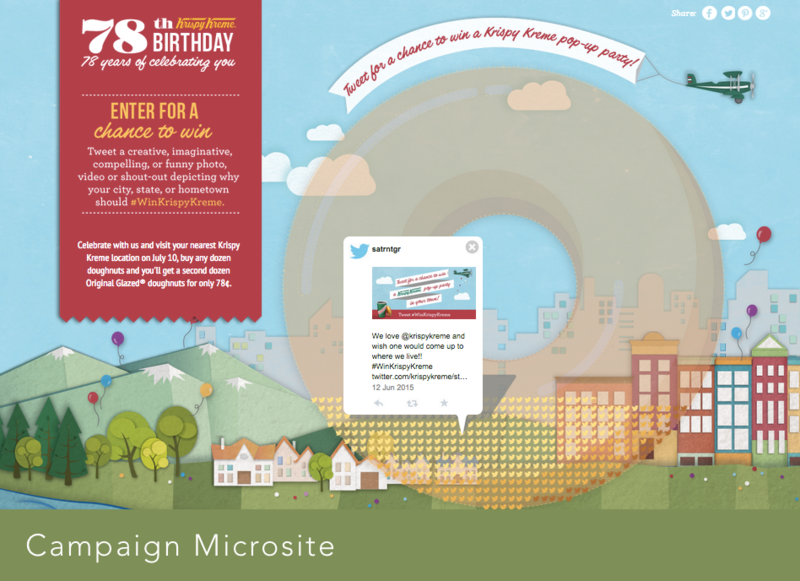 For its 78th birthday, the hashtag was reactivated as a method for entry to a contest and with TINT’s help was used to build micro-doughnuts from the participant images on landing pages. #krispykreemelove: The love is real for Krispy Kreme as proven by fan praise. 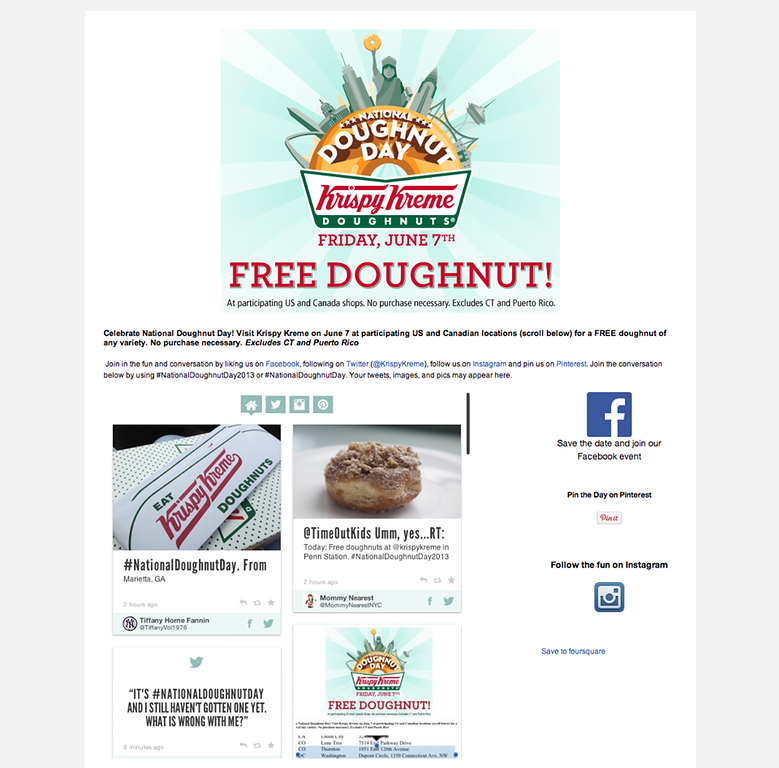 TINT’s ability to populate screens and webpages with hashtagged posts allowed Krispy Kreme to literally spread the love. #hotlight: Krispy Kreme created a sensory experience with this highly engaging hashtag that would allow customers to know if hot doughnuts were ready to pick up. #krispykreememoments: This hashtag generated priceless brand moments like those of customers eagerly waiting in line and helped grow their Instagram followers from 0 to 1.6 million. In each of these cases, it’s TINT powerful and customizable aggregation capabilities that enabled effective user generated content curation. The quality and quantity of authentic images Krispy Kreme collected for campaigns with TINT was unlike anything they could do manually. Plus, the organic growth produced through these campaigns can be attributed to higher quality content—engagement that did not need to be bought.